I have decided to go in a different direction with this tank. My cichlid tank is being pulled down this weekend, maingano colony to be sold/traded off. 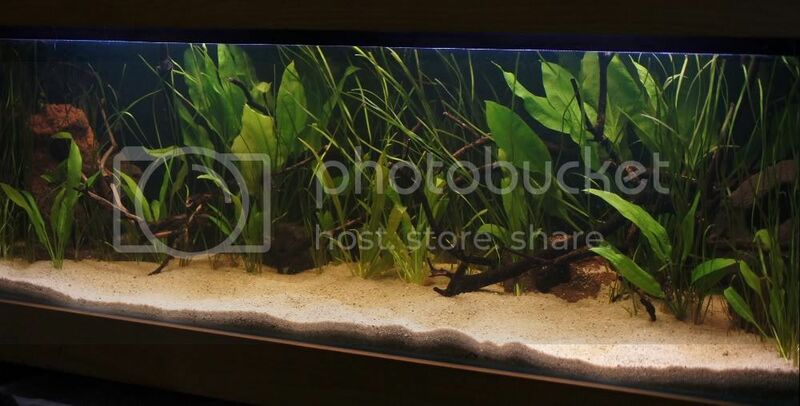 The clown loaches will be going into the new setup. Pool filter sand is in, but need another bag to get good enough depth.Raided a tree on my way home yesterday for some wood, will hopefully get that sorted and into the tank soon. Tank now is basically scaped, i need to pic up a few smaller swords and then maybe a bit of fine tuning. The tank is currently cloudy, due to me adding another bag of PFS and then i planted it. I will have a tannin issue, but nothing water changes wont keep under control. Will do a large water change tomorrow, to help settle it. Will also need to do a canister clean very soon. All neat and awesome with the design, great job! Looks nice - I've been thinking about rescaping my 125 once I get the 50 up and running.